"Today" is the first single from our soon to be released CD entitled "Don't Let Go". It's a soulful earthy track, with a strong soulful and earthty beat. The vibe is positive. This is feel good happy music, written and recorded to uplift. 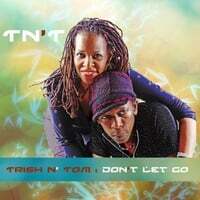 "Today" features Trish on lead vocals and Danny Kean on acoustic guitar. there's usually sunshine and starts her day just chill'n. The story here is all about taking a day for yourself. Daily we find ourselves caught up in the hustle and bustle. Why not take some time or as we like to say, put it on slow burn. Now you can enjoy the sunshine. Treat yourself with a day for yourself. It's good groovy music for good people. That's right we bringing it back and having fun. So purchase this track and bring some sunshine into your life "Today". Find out more by visiting us at our website www.tritommusic.com.